While many electrical, HVAC, and plumbing jobs around the home should be left to qualified professionals, there are still quite a few that the average DIYer can tackle. Our in-depth electrical, HVAC, and plumbing remodeling guides can help you learn more about your home's primary operating systems, find projects that fit your abilities, and figure out when to call a contractor. Is changing a sink faucet a DIY project? 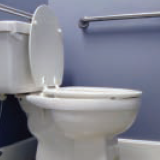 This downloadable guide can help you figure out which bathroom plumbing jobs might be within the average DIYer's abilities and any special tools you may need. While many electrical projects around the home require a professional electrician, this guide discusses a few that may be within the average DIYer's abilities. Is it a DIY project or is it time to call in the professionals? Find out how to tell when you might be getting in over your head or risking your safety in this downloadable guide. 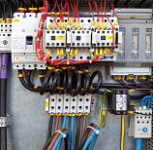 Ever wondered what all the stuff behind that metal door on your home's electrical panel is? 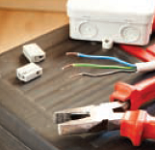 Want to learn more about how circuits can play a role in your remodeling plans and cost? Get more information on your house's electrical system - including why that breaker is always tripping - in this downloadable guide. While working with gas is never a DIY project, you should still have a thorough understanding of how your system works and what to do if someone smells gas. 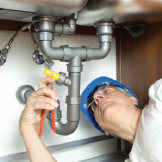 This guide covers gas appliances, piping, and system considerations when planning a remodeling project. Do you look back fondly on the days when you didn't run out of hot water while showering? 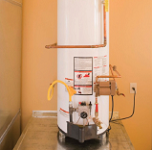 This guide shows how you might be able to get those days back and offers options for installing a more efficient water heating system. 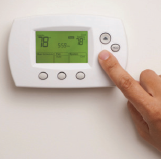 An HVAC system running at peak performance can save you money on your heating and cooling costs. While you may not be able to service your own equipment, these easy maintenance tasks can go a long way toward keeping everything running efficiently and reducing costly repairs. 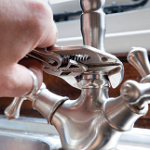 Fixing a garbage disposal clog, running an ice-maker line, and even hooking up an instant hot water faucet can all be considered DIY kitchen remodeling projects. Download this guide to find out what you’ll need and how to get your project completed. 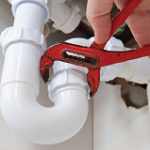 How does your home's plumbing system work and what effect can it have on your remodeling plans? Find out what supply, vent, and drain lines are and how carefully considering their locations can help lower the cost of your project. 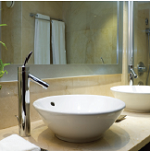 Is that puddle of water on your bathroom floor cause for concern? 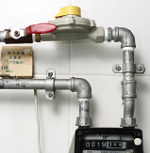 This guide discusses common household water leak locations and which ones can be easily repaired.